Five nice-to-touch tactile structures, each with its own color. Challenges your sense of touch of both hands and feet. Large disc for positioning on the floor, small disc to hold in your hand. 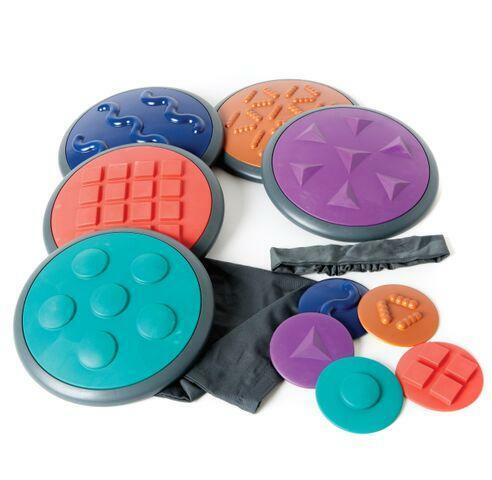 Innumerable possibilities in play ranging from a fundamental sensing of tactile structures to blindfold games based on memory and recognition. Recommended ages 3-9. Dimensions: Steps - 10.5" Dia. Tokens - 4.25" Dia.